Scattered showers will continue to move northeasterly this morning. 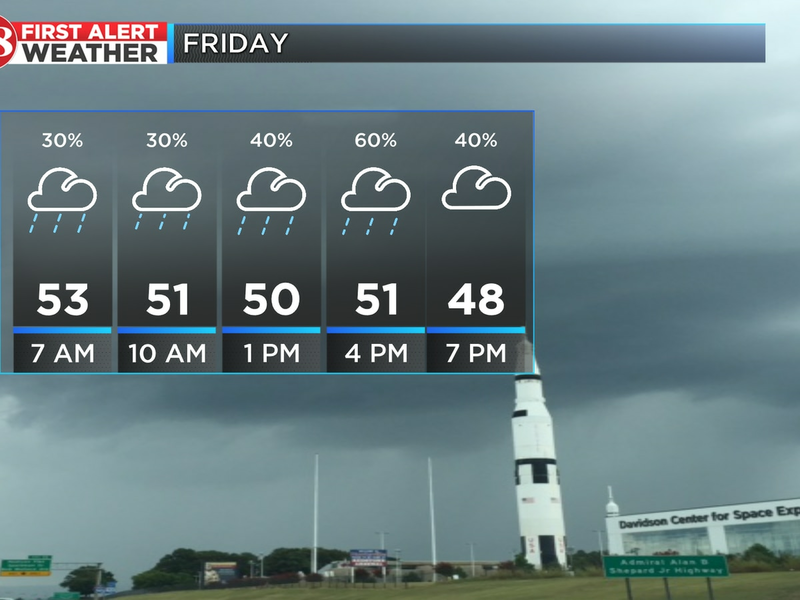 The wet weather will decrease in activity this afternoon, giving the area a break later this afternoon. Showers and storms will increase tonight. Sunday is a FIRST ALERT WEATHER DAY because of the threat for severe storms. A line of heavy rain and strong to severe thunderstorms will move in overnight. 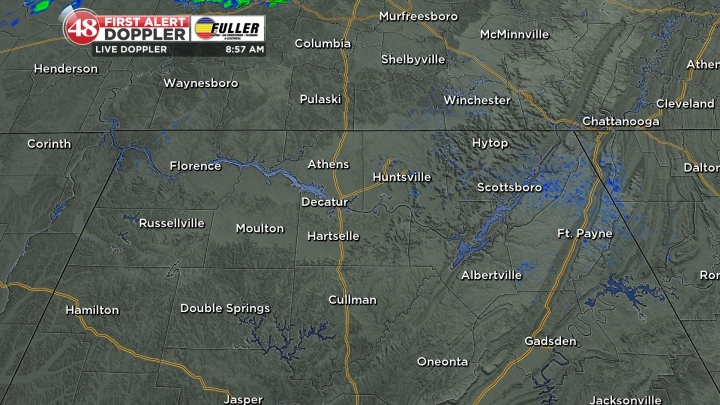 The line will cross the Mississippi/Alabama state line and move into the Shoals around midnight or as late as 5 AM. Storms are expected to impact during the first half of the day. Sunday mornings are usually busy with church, breakfast, and brunch, especially since tomorrow is Palm Sunday, so remember to stay weather aware. Tomorrow’s threats include damaging winds and heavy rainfall, which are the highest threats. Tornadoes are also possible tomorrow and large hail. Make a plan to get weather alerts, and have multiple ways of receiving weather alerts. 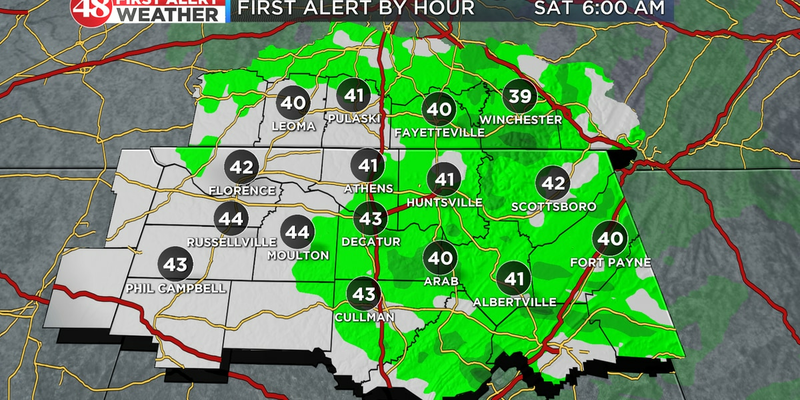 The WAFF First Alert Weather App is free and will send alerts straight to you. After the cold front Sunday, cooler and drier air will seep in. Monday will be much cooler, with highs only peaking into the low to mid 60s. Sunshine returns Monday and Tuesday. Chances for showers return Wednesday, and Thursday could bring back some strong storms. Continue to check in for the latest.